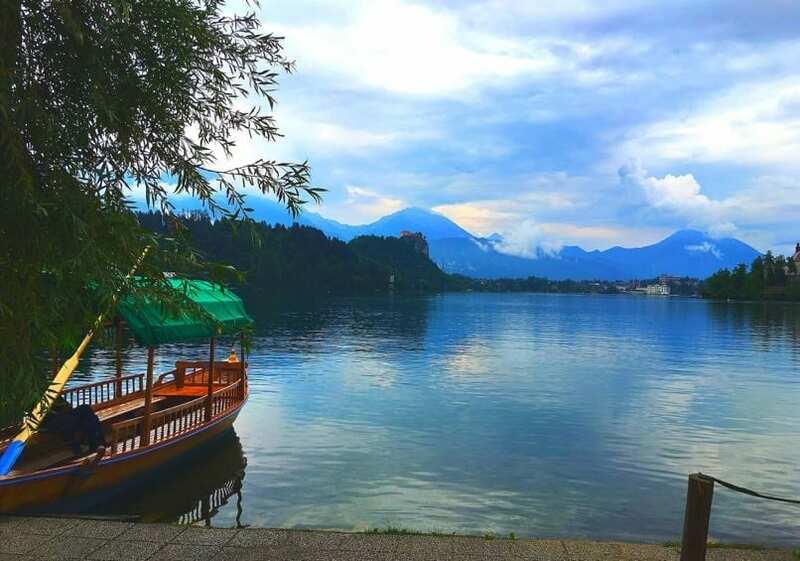 Lake Bled is so picturesque that I couldn’t stop taking pictures of it from all angles. It’s a glistening emerald-green colour that is so crystal clear you can see all the fish swimming around at the bottom. In the middle is a tiny island which is home to an enchanting little white church. The lake is quite compact and ringed by forested slopes that look out to the island in the centre. A 6 km long and quite wide path winds around the lake which is ideal for a relaxing walk or cycle ride. It takes a little over an hour to walk right around the lake on foot. We walked around taking photos one day and on another rode round. It’s a nice easy and very lovely ride. We had our own bikes with us but you can rent bikes easily enough if you haven’t got your own. 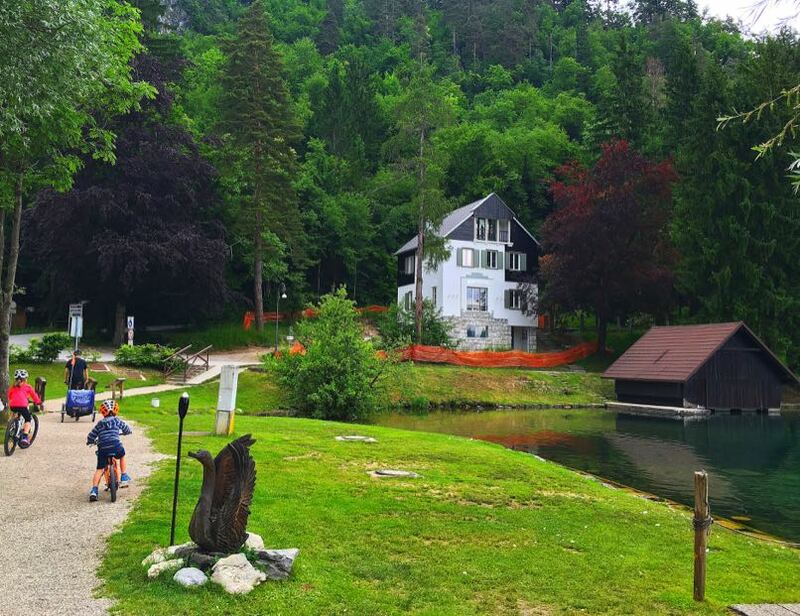 If you don’t fancy walking or hiring bikes then there is a small tourist train that travels around the lake which costs 4 euros each. We were given a timetable from our campsite reception when we booked in but these are also available from the hotel receptions. There are various stop off and pick up points around the lake. 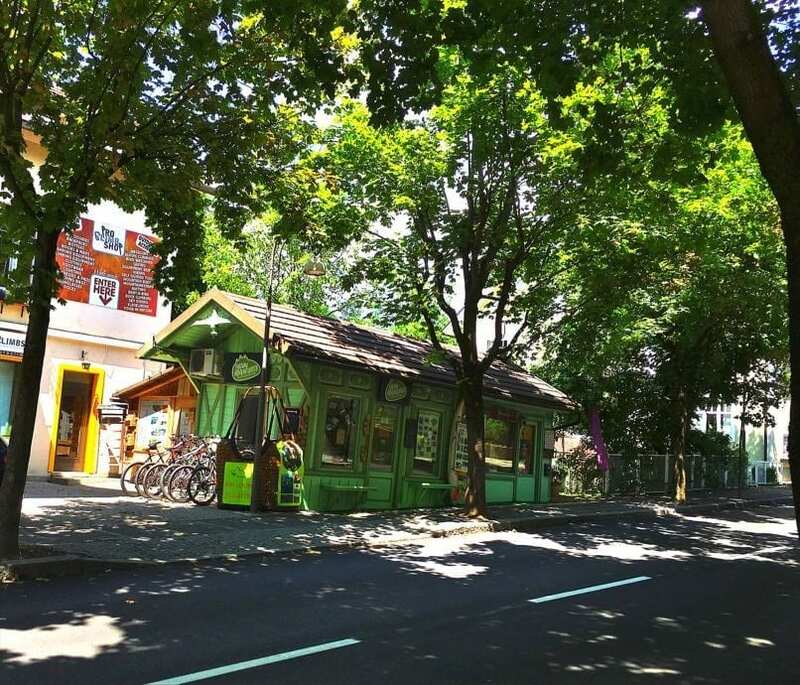 Personally, we prefer to walk or cycle so that we can stop off here and there for a drink in one of the cafes or take photos of the lake from different angles. 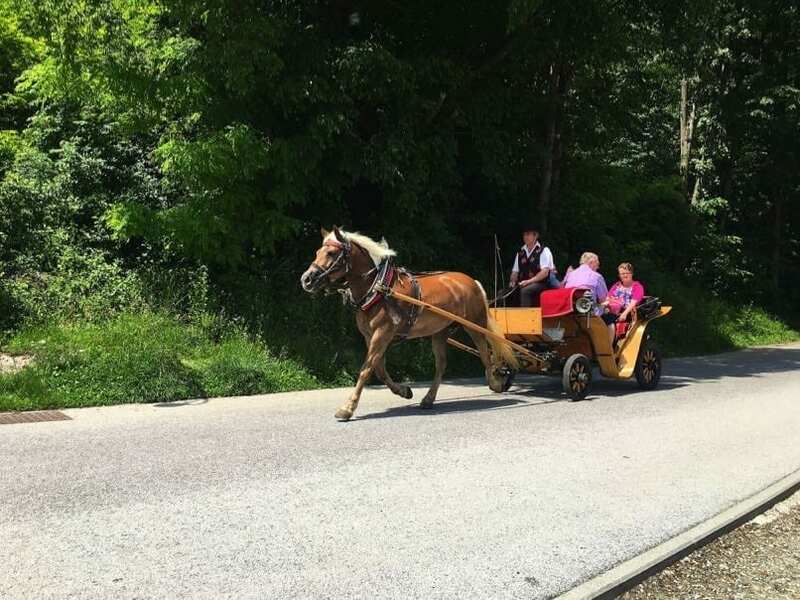 For a more romantic feel, you could opt for the traditional horse-drawn carriages that will take you around the lake. The first day we attempted to walk around the lake the heavens opened and we got soaking. We were too far round to go back so had to seek shelter in a café, until it stopped. The rain was off and on that day but the next day was a bit better. After that, we went into town and bought a couple of plastic ponchos which we always keep in our backpack now. Grand villas dot the shoreline and some have been converted into elegant hotels and cafes. We always enjoy looking at the different kinds of buildings and homes in each area we visit. You can reach the lake’s island by pletna boat which is a bit like a huge gondola with a man who rows it. The only thing is they normally like to wait until they have at least 10 people, (the boat holds 20 people), however, while we were there, as it was quiet, they went over with less. The entire trip takes 90 minutes including 60 minutes of rowing and 30 minutes on the island. You can pick these up from various locations around the lake. 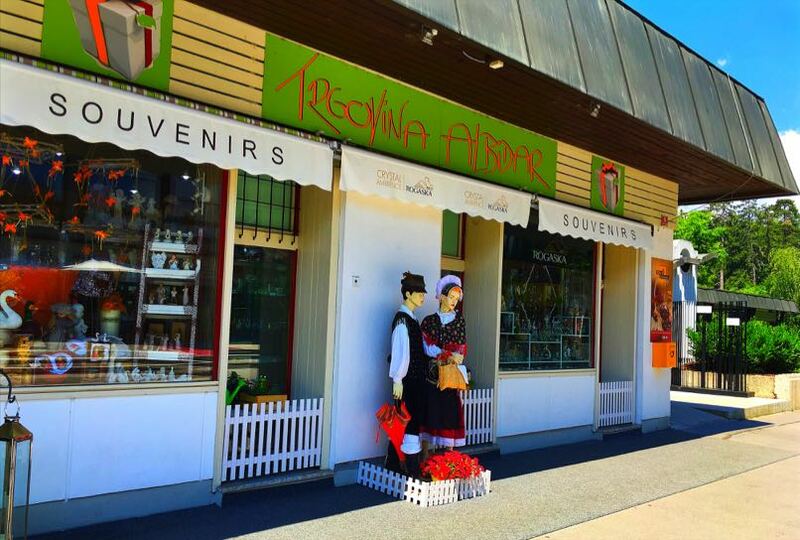 We noticed that you could pick one up directly outside Camping Bled. The cost is about 14 euros each return. Once you get over to the island you pay a further 6 euros to look around the church, exhibition and to ring the wishing bell. Not that you can see anything when you ring the bell as it is so high up in the tower. Another popular way of getting over to the island is to hire a rowboat. This is the way we would prefer as you can stay on the island as long as you like. 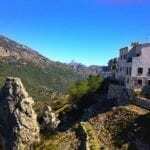 The cost is 15 euros per hour and the rental shop can be found underneath the castle. There is another boat rental near the activity centre on the west shore of the lake which is only 10 euros an hour. We didn’t bother going over to the island however as we thought it was all a bit too touristy and expensive. 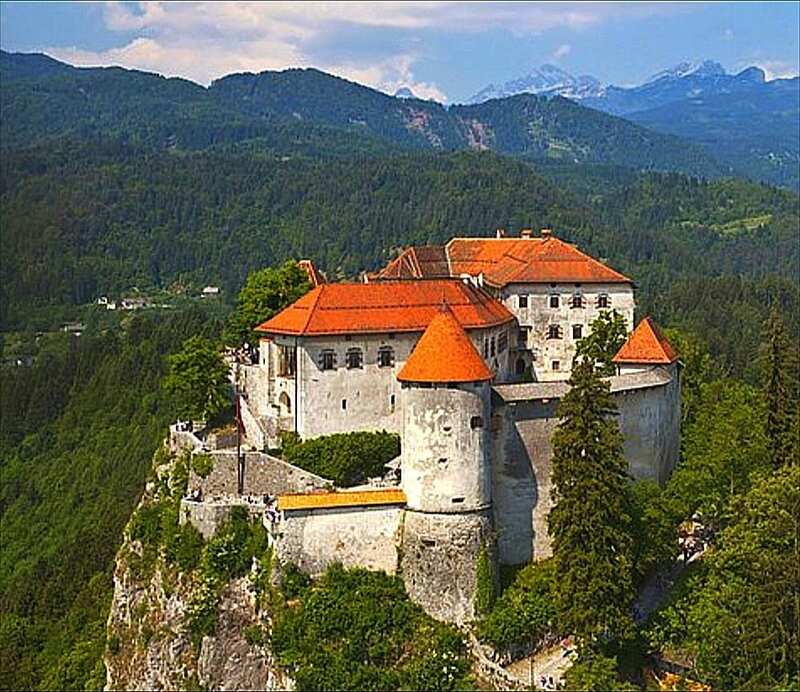 There are 15 signposted hikes around Bled which involve leaving the 6 km paved road and trekking uphill. The hikes range from 20 mins to 3 hours. Click here for more information of these. 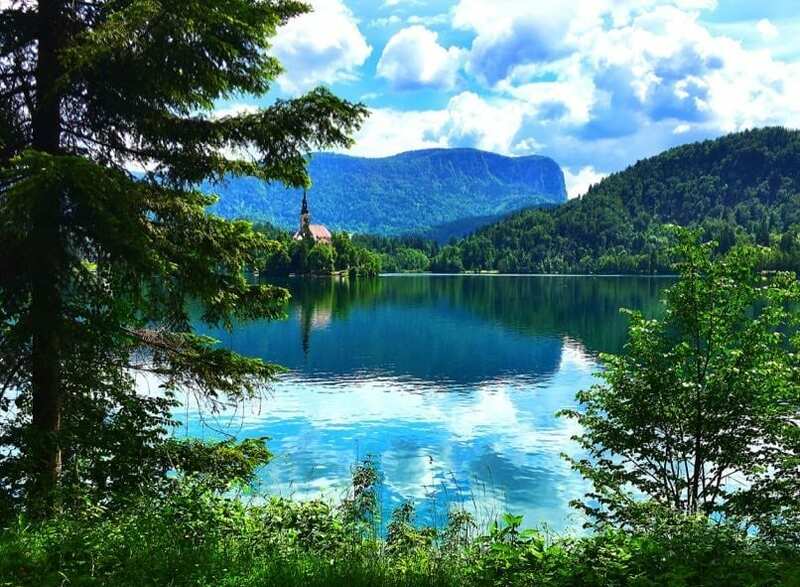 You can go up to the Osojnica viewpoint on the western shore which, at 2.250ft is rewarded with splendid views. 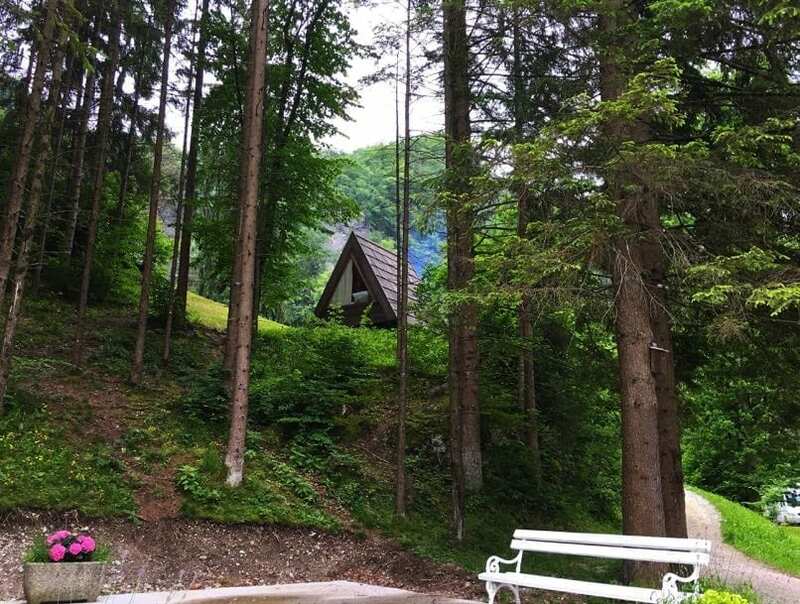 We stayed at Camp Bled and could not believe that we could camp so near to such an extremely picturesque destination in one of the most striking Alpine resorts. The campsite had quite a rustic feel to it which we loved. 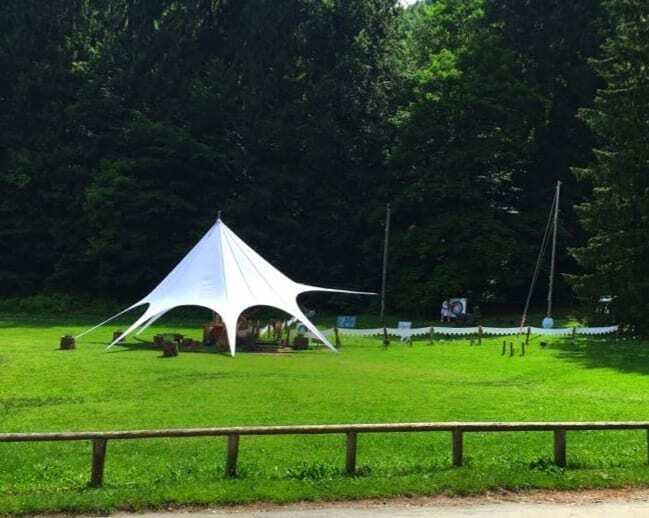 The tents are pitched in amongst the trees with the caravans and motorhomes. 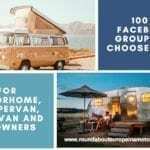 It had a very cosy feel to the site and it really is what camping is all about. 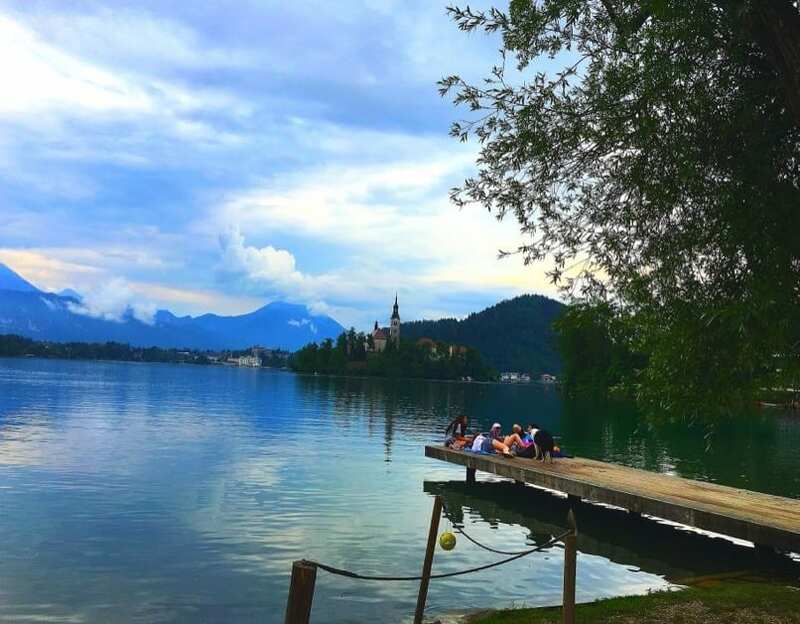 We found Lake Bled was the perfect place to spend 4 days relaxing and taking in the beautiful views. It was even quite nice listening to the distant ring of the church bells. 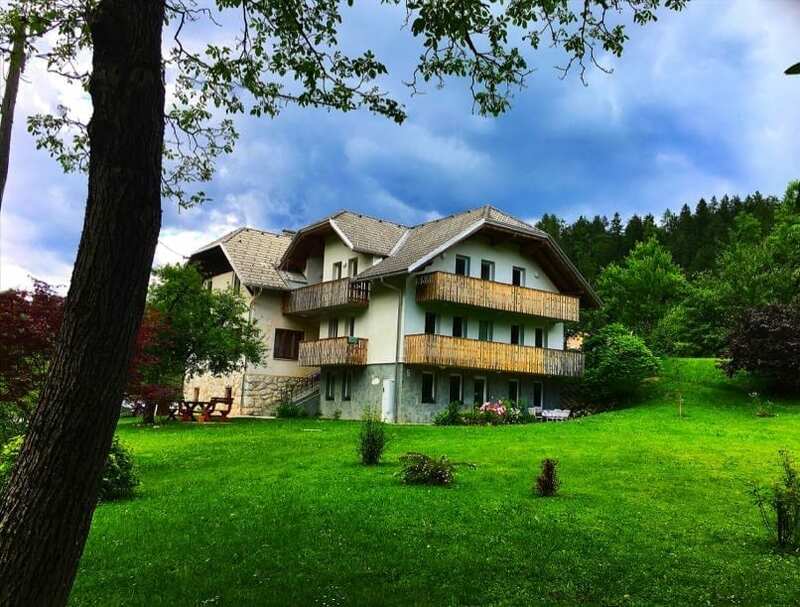 After all the driving down to Slovenia we just wanted to relax and let the inspiring scenery wash over us but if you are looking for activity then there is certainly plenty of that. Bled is not that big so there is not much else to see here. 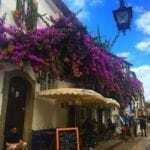 The town is very small with a supermarket, a few cafes, restaurants and hotels. There is no real shopping. 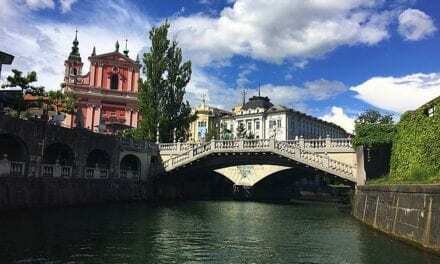 I would say it is an ideal destination for a day visit from Ljubljana unless like us you just want to take your time breathing in the scenery and relaxing for a few days. 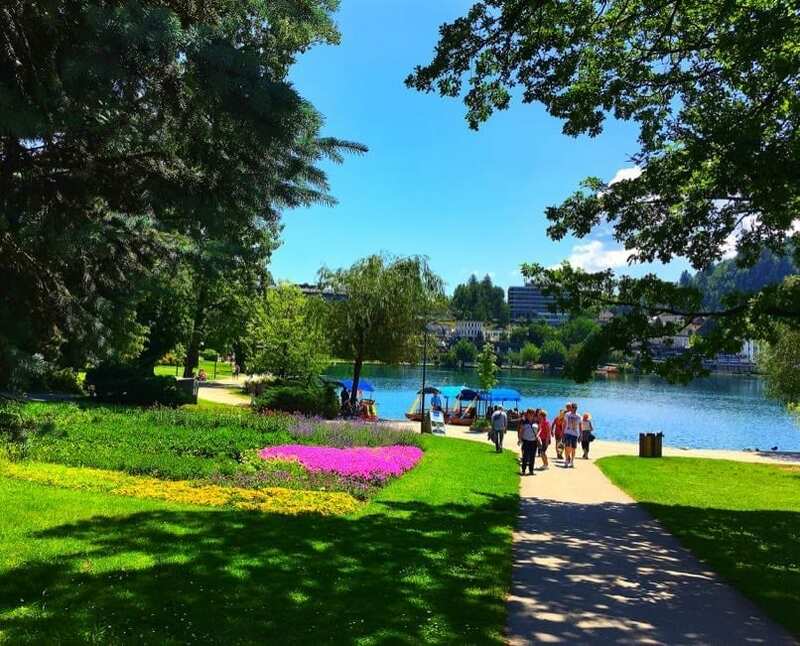 Of course, if Bled was your base then you could visit Ljubljana on the bus and if you have a car the Postojna caves and park are worth a visit. 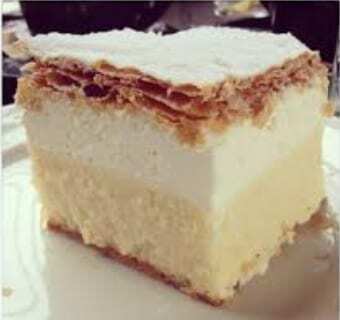 If you like cake then you must try the local speciality the Kremma rezina cake, which is a cake of vanilla custard and cream and is served at most of the cafes and restaurants in the town and around the lake. Iglica Waterfall is 4 km southwest of Bled, in the caves of Iglica near the village of Bohinjska Belsa. The waterfall is 18m high, but a very narrow waterfall over a vertical wall of Permian limestone. This is popular for rock climbing. If you go up the stairs you have a beautiful view of the whole area. 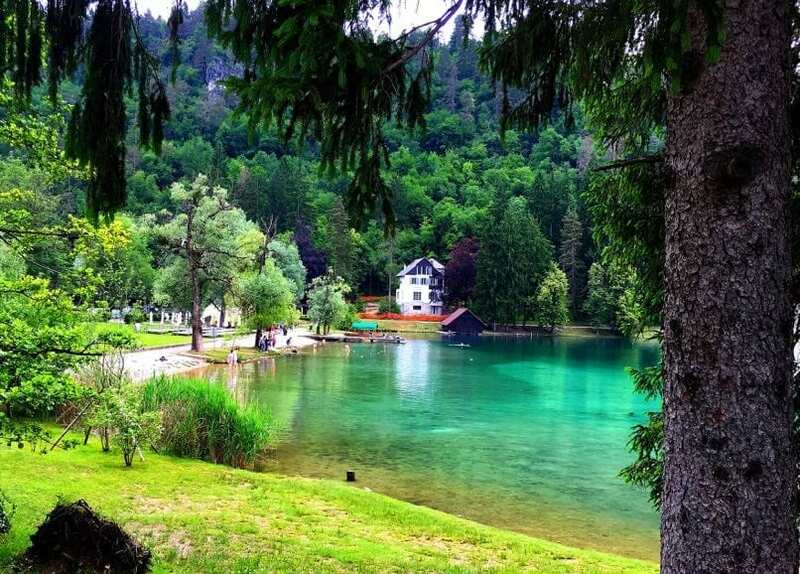 Lake Bohinj is 20 km from Bled and I have read it is even more gorgeous and stunning so that’s where we are off to when we are next in Slovenia. May/June is the perfect time to visit before the summer crowds. The closest airport is Airport Joze Pucnik, Ljubljana. Easyjet flies direct from London Stansted. If you drive from the airport on the motorway you will need a vignette (motorway toll sticker). These are available from petrol stations. They cost approximately 15 euros for a week and 30 euros for a month. 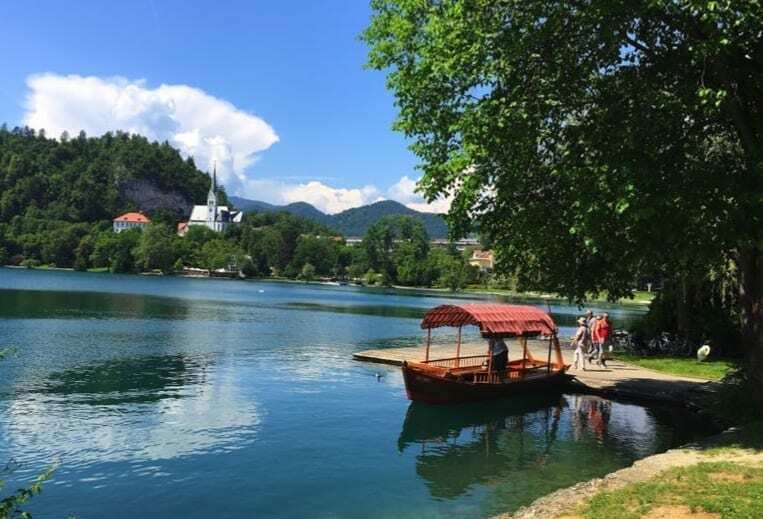 Bled Jezero station is on the opposite end of the lake to the town and nearer to Camp Bled. From here, trains leave to/from Jesenice and Nova Gorica every two hours or so. 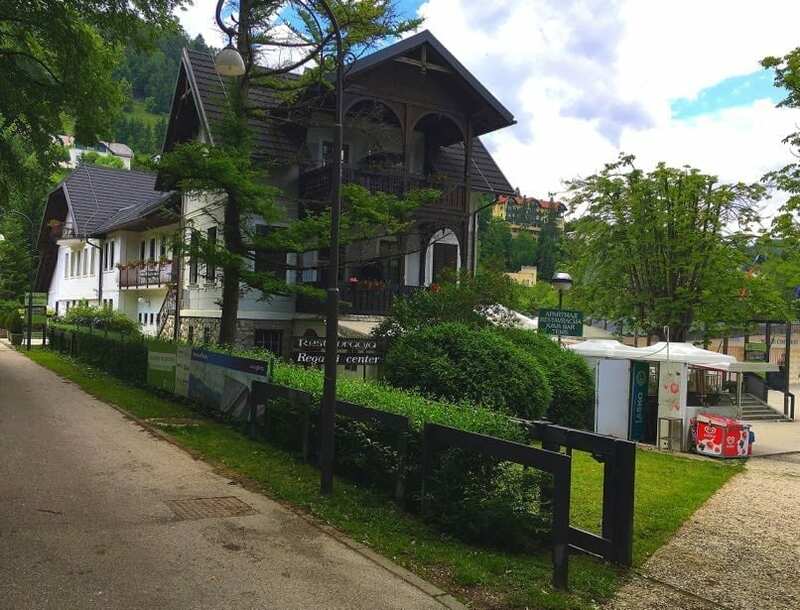 Trains from Ljubljana drop passengers off at Lesce-bled station which is 4 km southeast of Bled. The journey takes slightly under an hour by regional train. These run irregularly, but more or less once every hour. In addition, there are a few IC services a day, which are slightly faster. Buses connect the station with Bled town every 30 minutes for 2 euros. A taxi to/from the station costs 10 euros or you can walk 1.5km. A bus runs between Ljubljana to Bled hourly on the hour and returns from Bled to Ljubljana hourly on the hour. The journey takes approximately 75 minutes. A schedule is available online here http://www.ap-ljubljana.si/en Tickets can be bought at Bus station ticket offices. There is also a number you can call for getting information. 1991 (only for calls made in Slovenia). 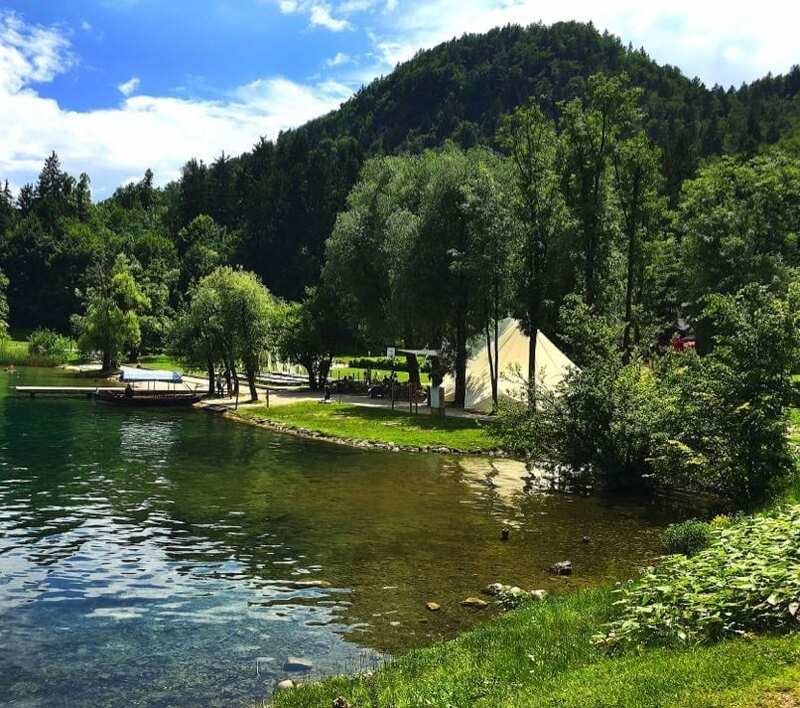 This campsite is 3 km from the centre of Bled and only separated from the lake at Bled by the road that is not very busy. Great walking in the area.